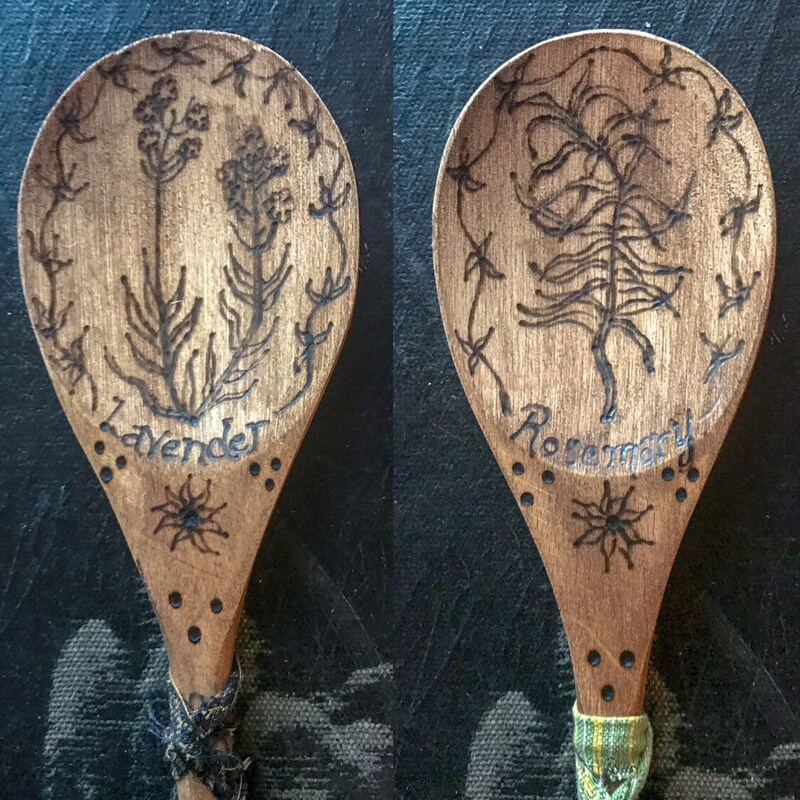 These are for decoration only. 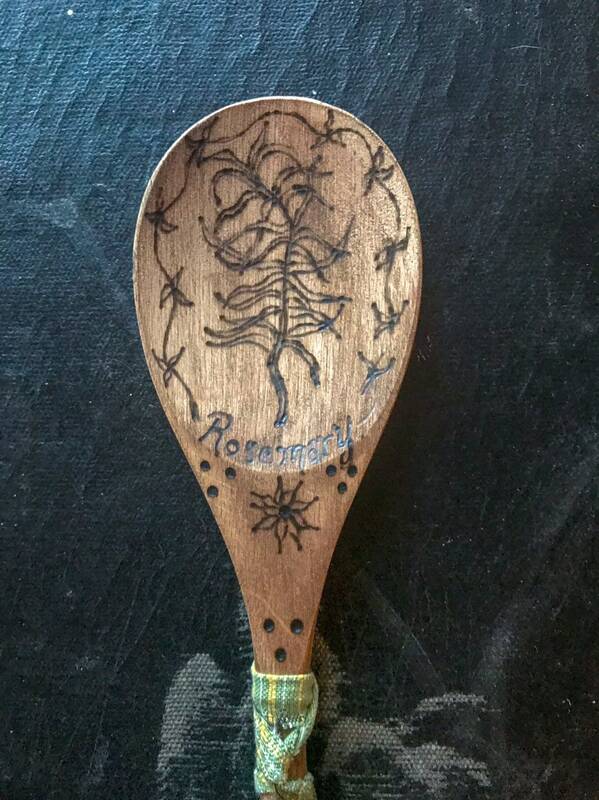 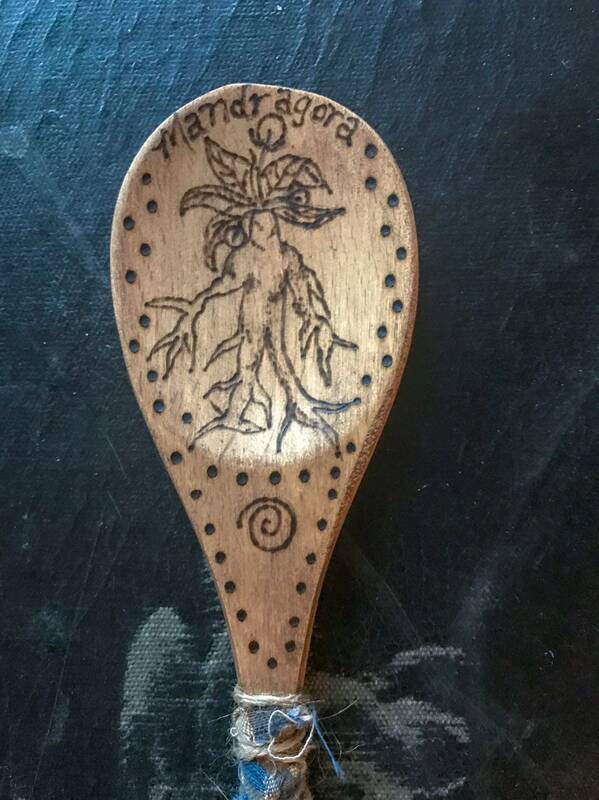 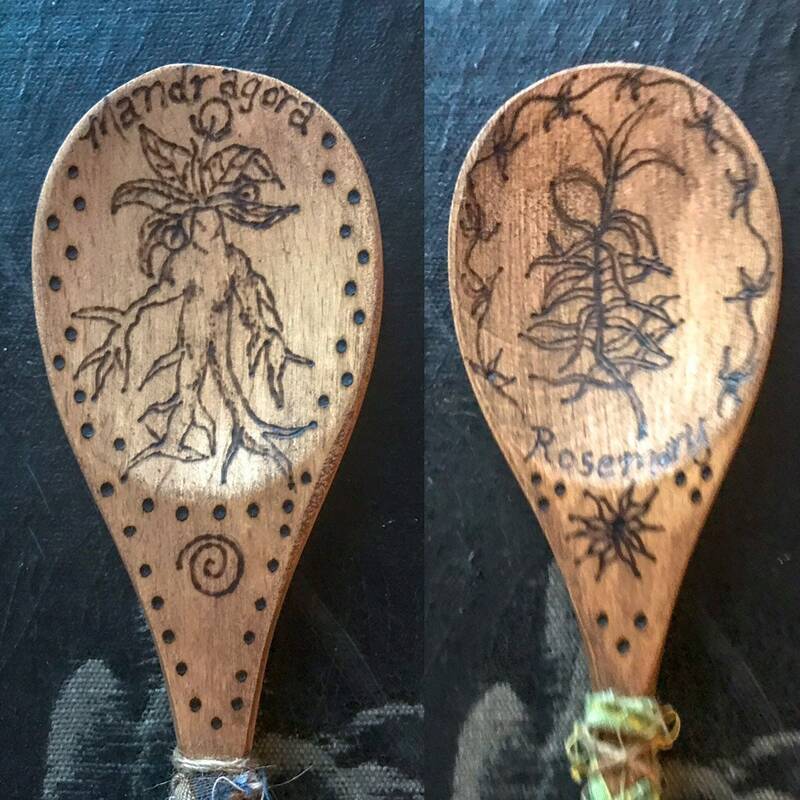 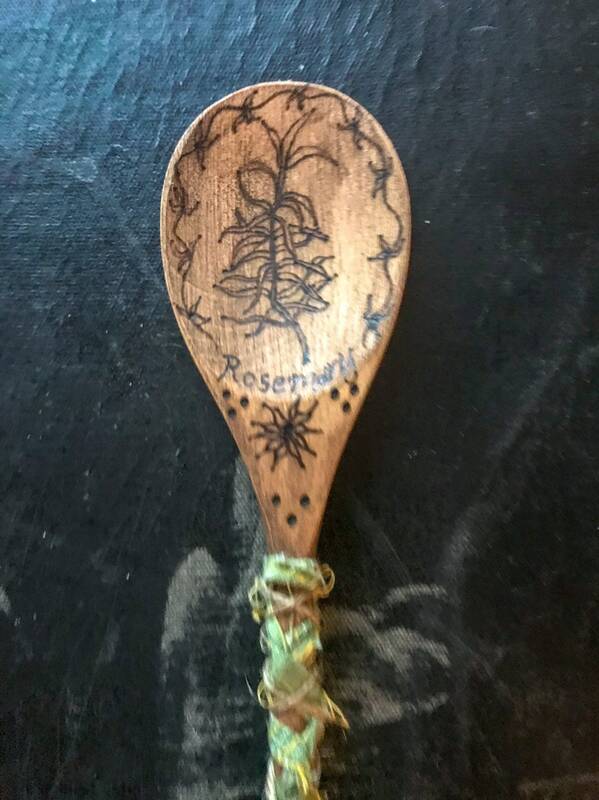 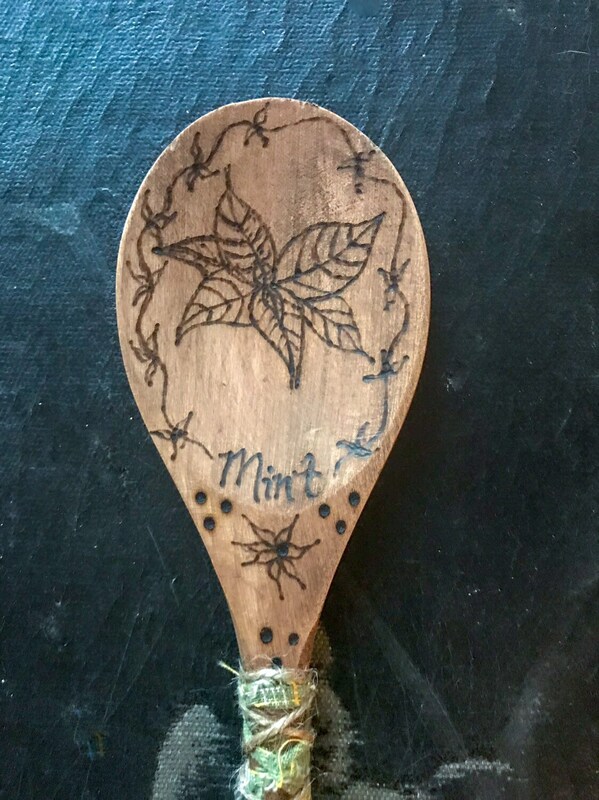 Perfect for primitive and rustic kitchens these large 14 inch spoons feature herbs I have drawn using pyrography. 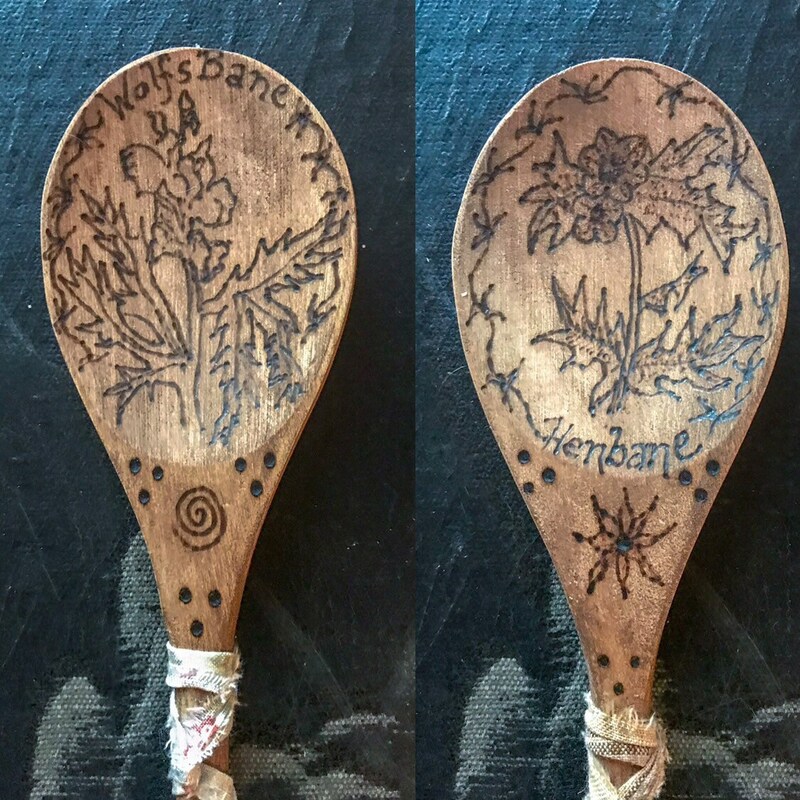 Each features a drawing of the herbs and the name with some decorative vine work. 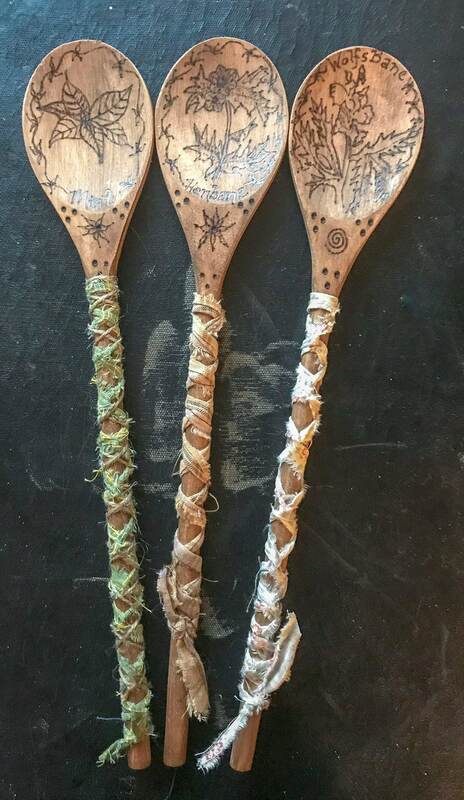 They have been waxed and then the handles have been wrapped in decorative homespun lengths, some also have jute.